Des Moines Home Improvement Financing - Apply Today | Boulevard Building Co.
At, Boulevard Building Company, we know Home Improvement projects can be an unexpected expense. We believe you shouldn’t have to wait to Increase the Value of your home. This is why our financing partners offer EASY FINANCING options for every project type and EVERY CREDIT RATING! Home improvement loan rates can be broken down into two categories. The two most common home improvement loans are HELOC for home improvement and unsecured loans for home improvement. Rates for home improvement loans can be as low as 0% for 18 months. This is a very popular option with our consumers. These types of financing are often called same as cash. Our financing partners will have many options available for long term financing. Check out our preferred financing companies and get your loan secured today. The second type of home improvement loan is what is called an unsecured loan. Unsecured home improvement loans simply mean that there is no collateral need to secure the lenders interest. Rates for these types of loans can vary for as low as 2.99%..
Full service credit decisions for customers of all credit grades. Our experienced credit analysts look for ways to say YES! 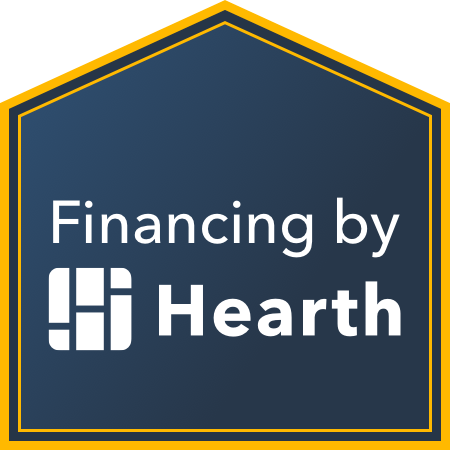 Our Customers can also work your financing in conjunction with other financing options such as Neighborhood Finance Corp and 203k FHA Loans. Unsecured loans up to $55,000 for home improvement items such as Windows and Doors, Roofing, Siding, Gutters, Insulation, and more. If you have any questions about the products we can finance, click below!